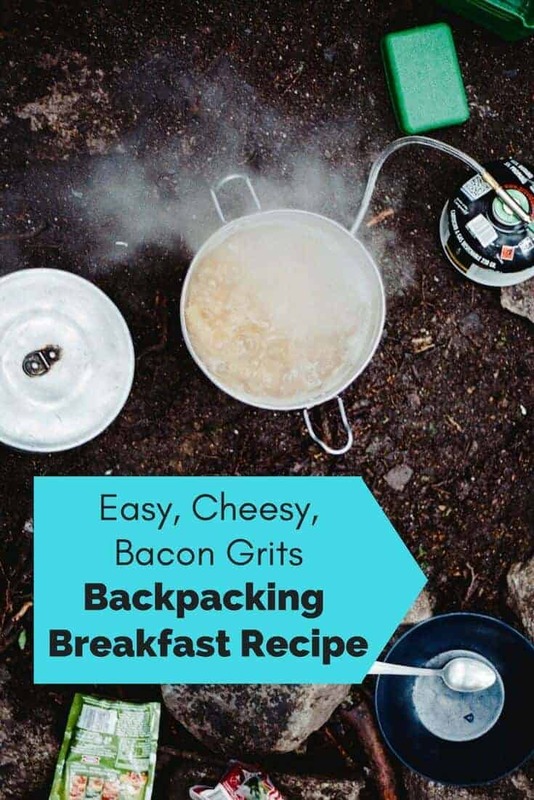 This backpacking breakfast is really easy and quick to make, and with between the oil, cheese and bacon, it’s easy to add in as much fat and calories as you need to help fuel your body on the trail. There are some things I do before I even get on the trail to help prep this meal. I measure out 1/2 cup servings of grits into little snack baggies for however many breakfasts I’m going to make. 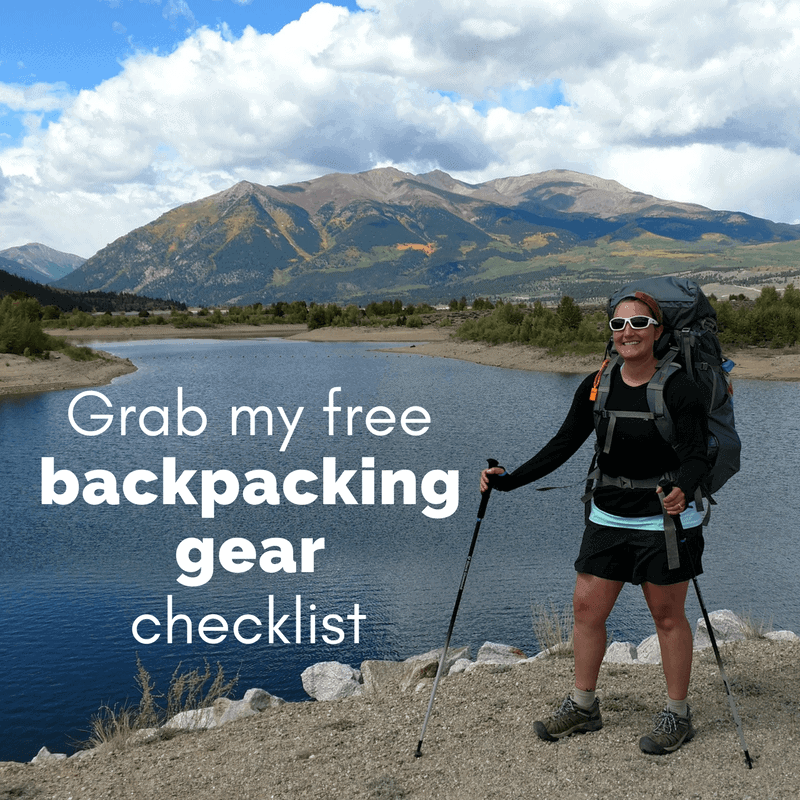 I also prepare my ‘spice kit’ at home, which includes a small travel bottle of olive oil, or if you have access to little butter packets, you could also take them. 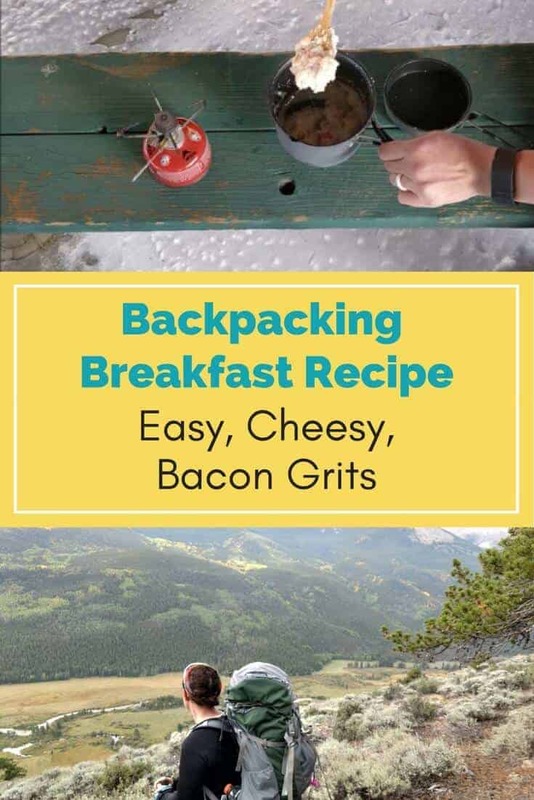 If you’re in a rush or on a resupply run, you can just buy a package of pre-cooked bacon from the store, or if you have the time, you can cook your own bacon at home to bring with you. On trail, simply combine the grits, water and oil in your pot and bring to a boil. Once it’s boiling, keep it simmering for 5 minutes or until the water is absorbed. While the grits are cooking, cut up your cheese and bacon into small pieces. Bonus tip: Plenty of water and a good amount of oil or butter are key here to making sure your grits don’t stick to your pot! If you enjoyed this recipe, share it!